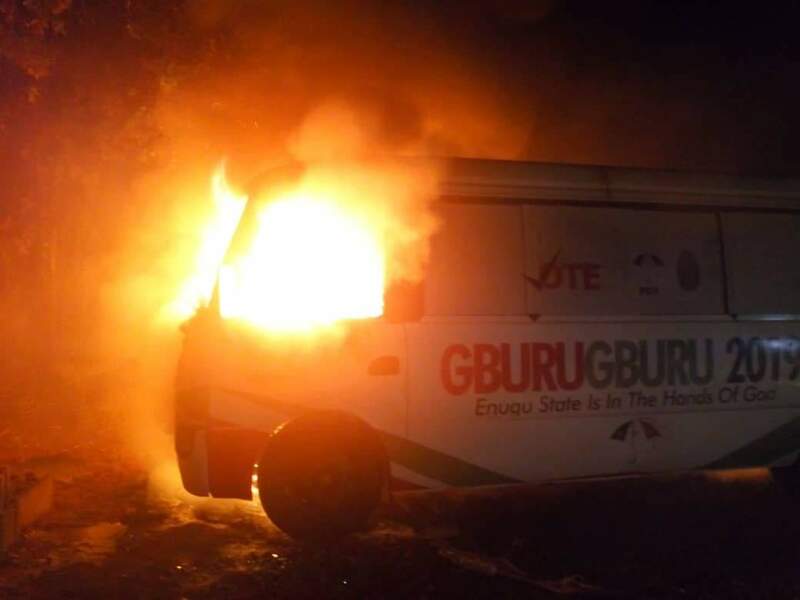 Enugu Youth Coalition has condemned in strongest terms the attack on the campaign vehicles of the Enugu state Governor, Rt. Hon. Ifeanyi Ugwuanyi along Tickles Park, Ogui New Layout by unknown hooligans in the state. It will be recalled that we issued a warning statement in December last year uncovering the plots by the APC in the state to create crisis in the Coal City since the reality downed on them that the heart, soul, body and spirit of Ndi-Enugu are with their Governor, Rt. Hon. Ifeanyi Ugwuanyi (Gburugburu). According to eyewitness account, three Sienna buses and two Coaster buses branded with the campaign pictures of the governor and his deputy were set ablaze; while three were razed down completely, two were almost razed down before the arrival of the State Fire Service men. The attack however came less than 24 hours after the state governor was conferred with the prestigious award of the ''Commander of Good Governance and Democracy Dividends in Enugu'' by 83 members of the state's chapter of the Inter-Party Advisory Council (IPAC). 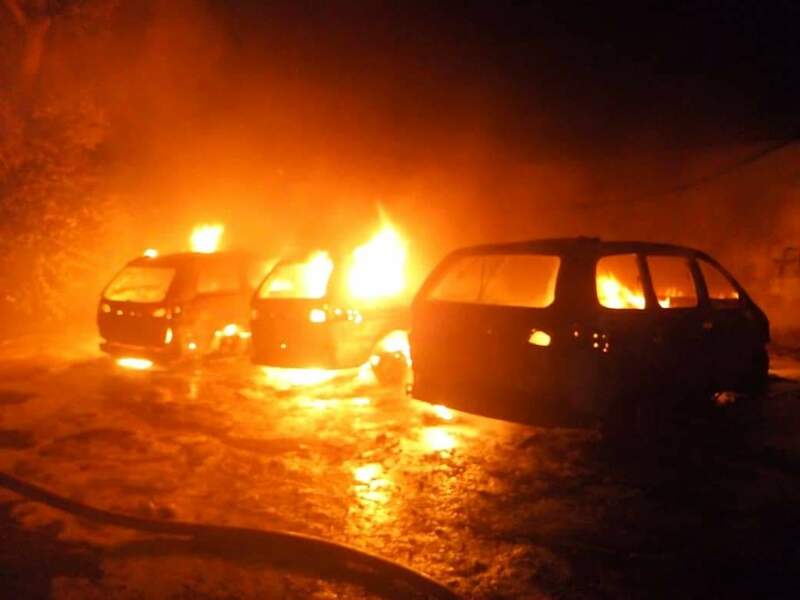 Therefore, while we urge security organisations in the state to Fishout arsonists behind the dastardly act, we call on the peace-loving people of the state to remain calm and reflect the unprecedented peace and tranquility Governor Ugwuanyi has brought to bear in the state. In the same vein, we urge them to remain resolute in their determination to re-elect Gburugburu come March 2nd and never allow themselves to be cowed or drink from the same cup of bitterness, hatred and anger which the enemies of the state wants them to drink from.